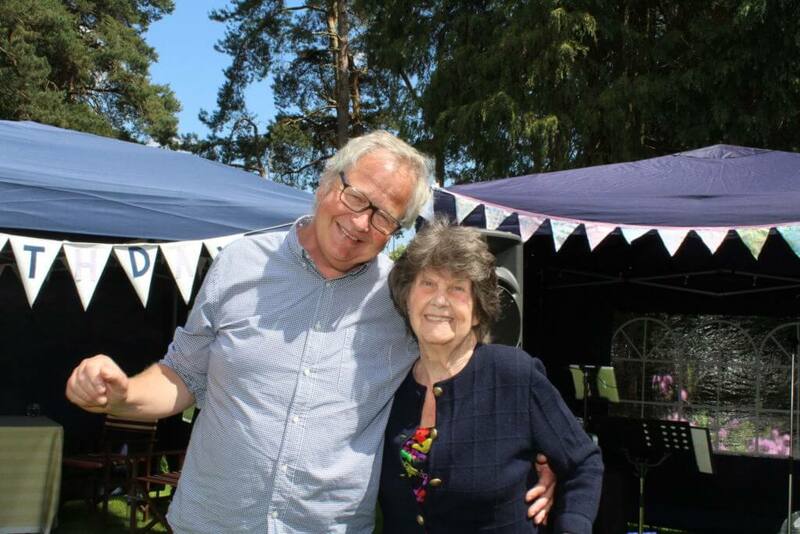 A massive thank you from myself and all the family for making mum's 80th birthday party such an amazing afternoon, your performance Andy, has certainly made it a very special day to remember. 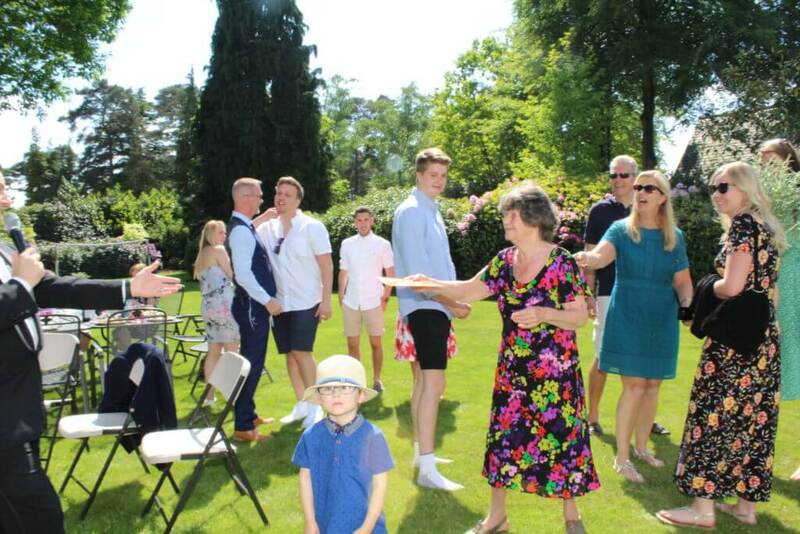 It was a perfect celebration. 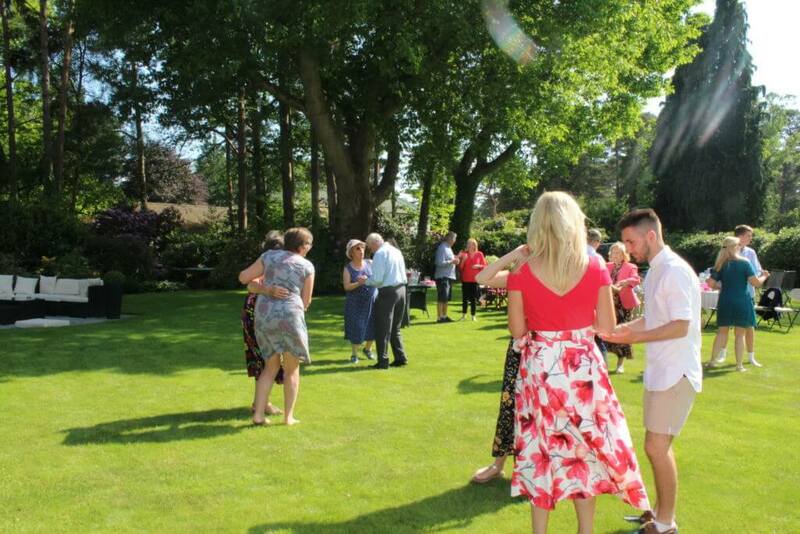 Everyone thoroughly enjoyed themselves and have all commented on how wonderful you were, I just hope we have another occasion soon so that we can book you again!! 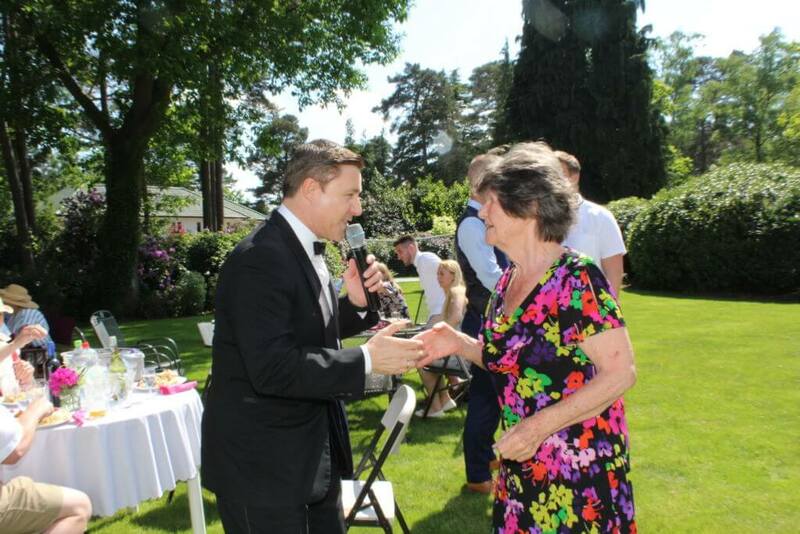 Thank you from mum for the lovely present you gave her too, that was so very kind of you both and no doubt we shall enjoy listening to them together. 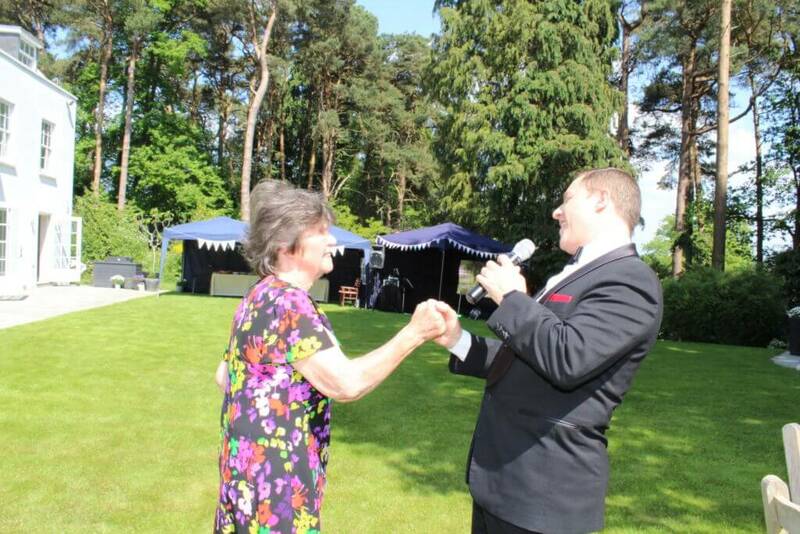 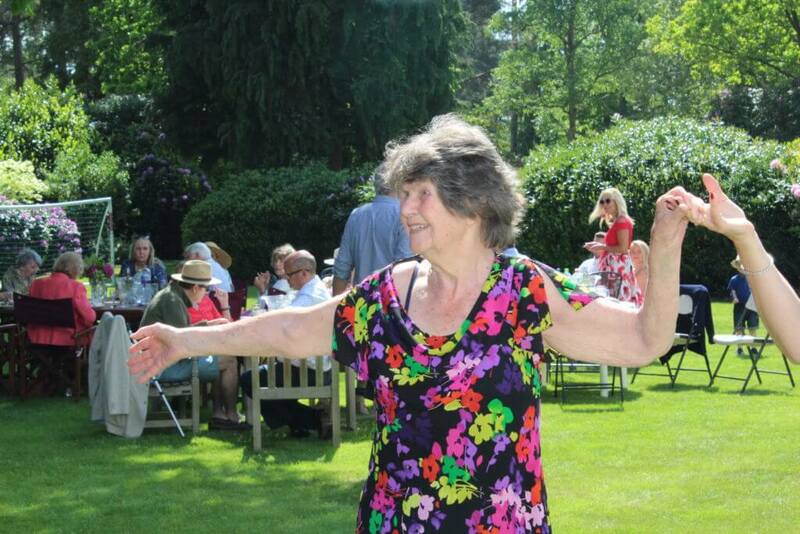 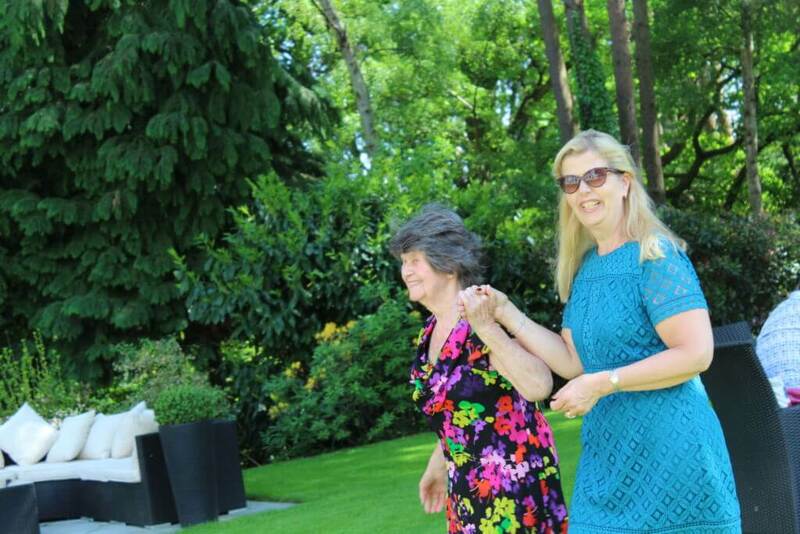 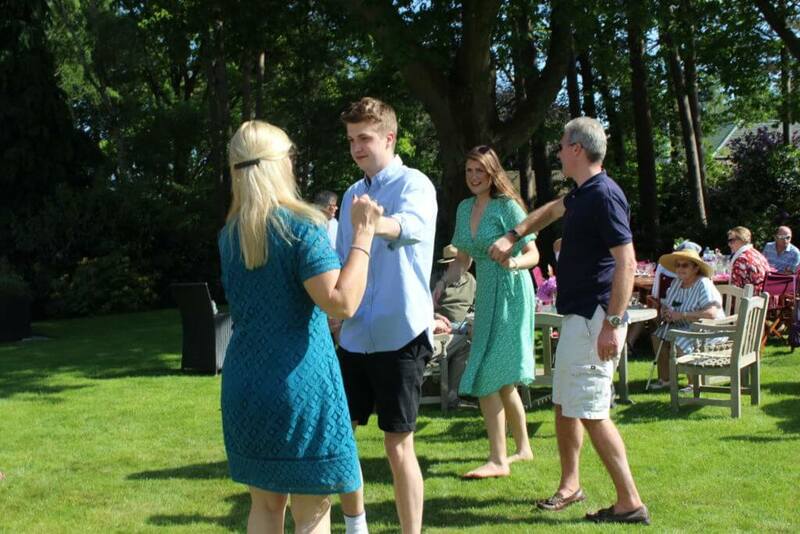 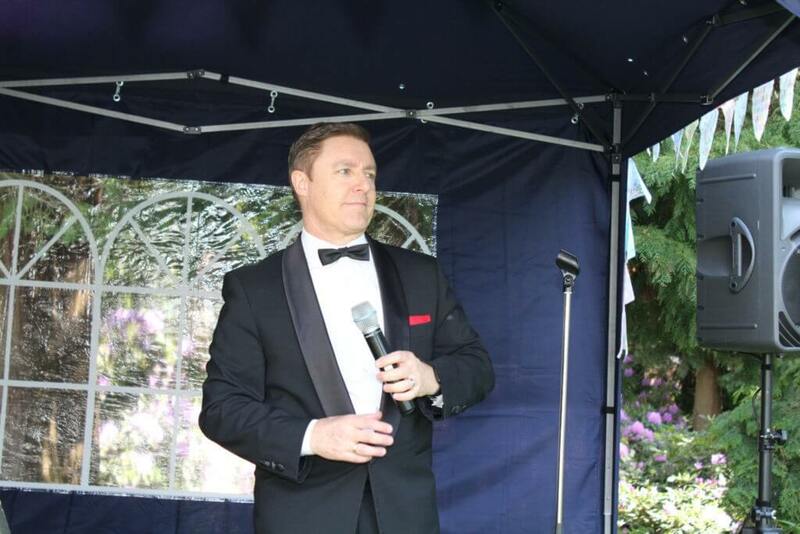 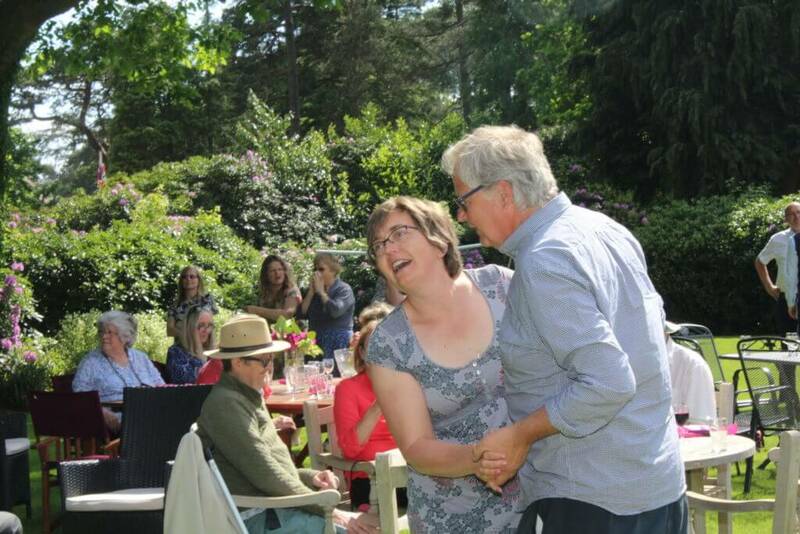 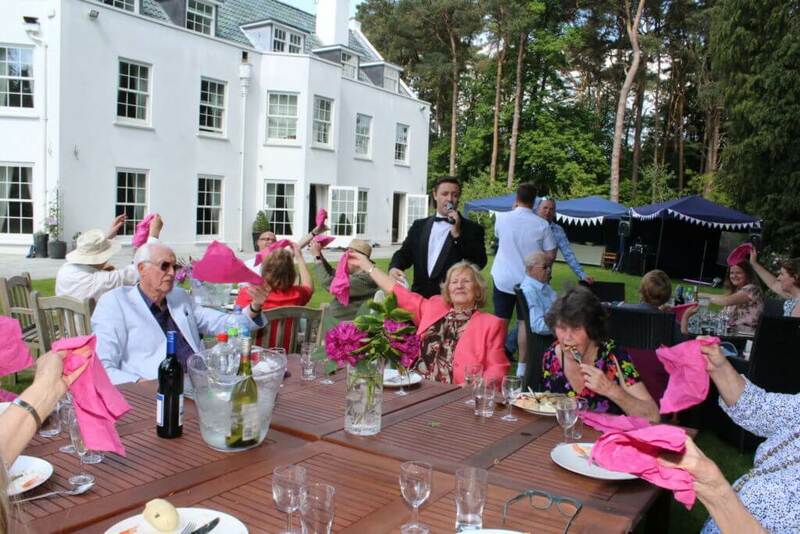 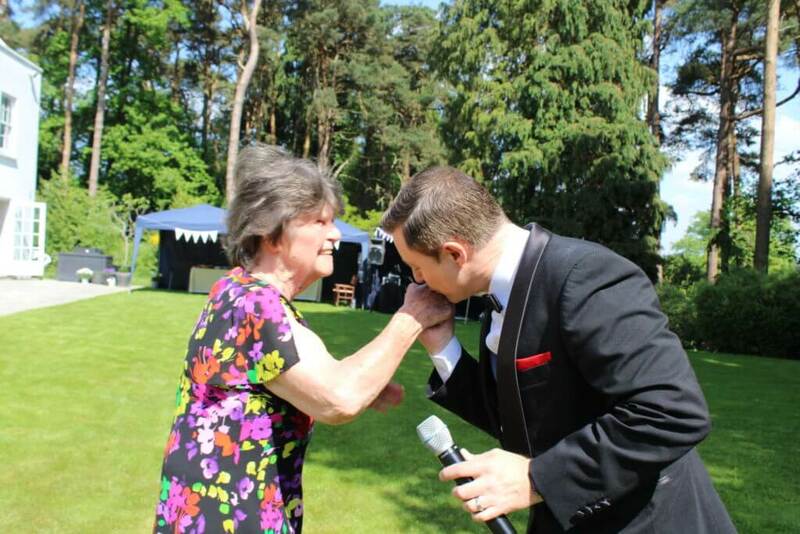 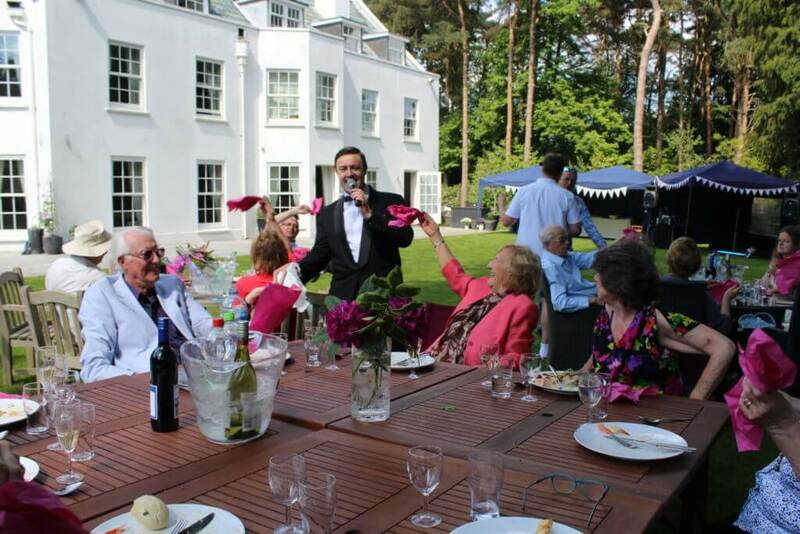 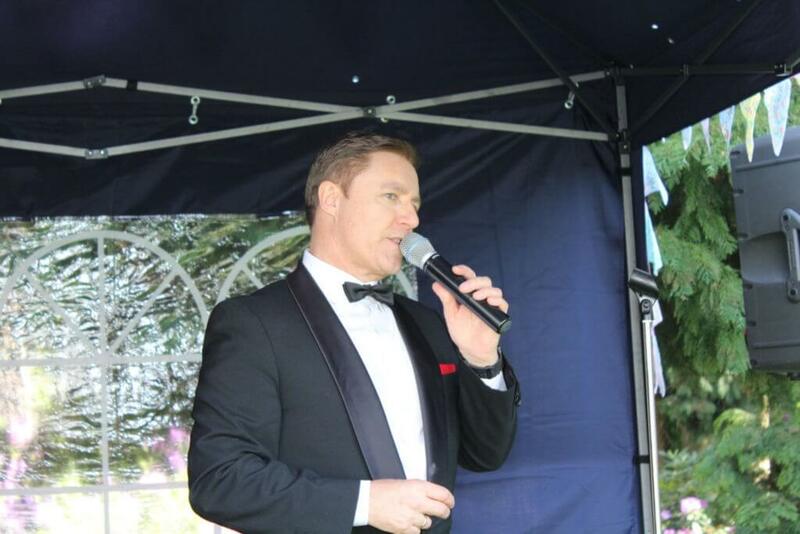 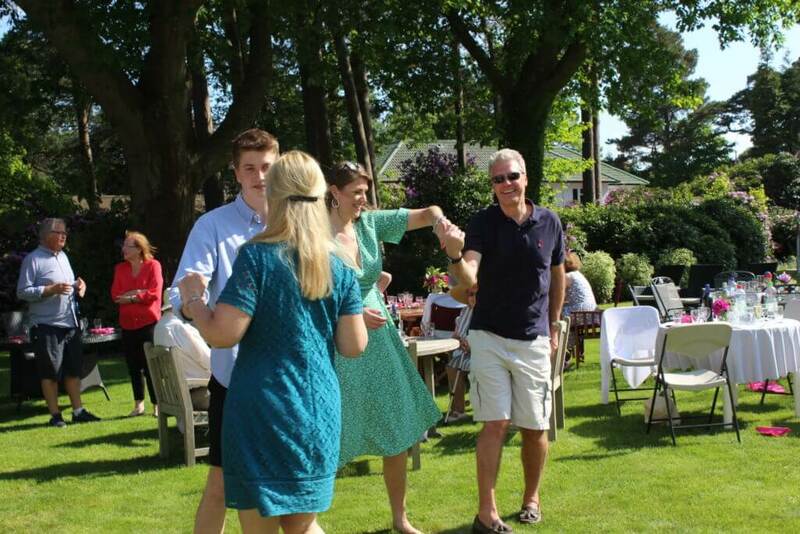 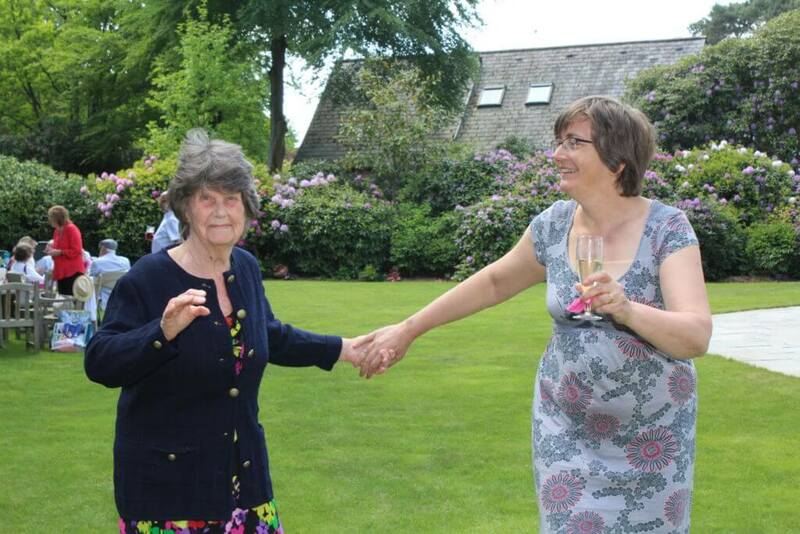 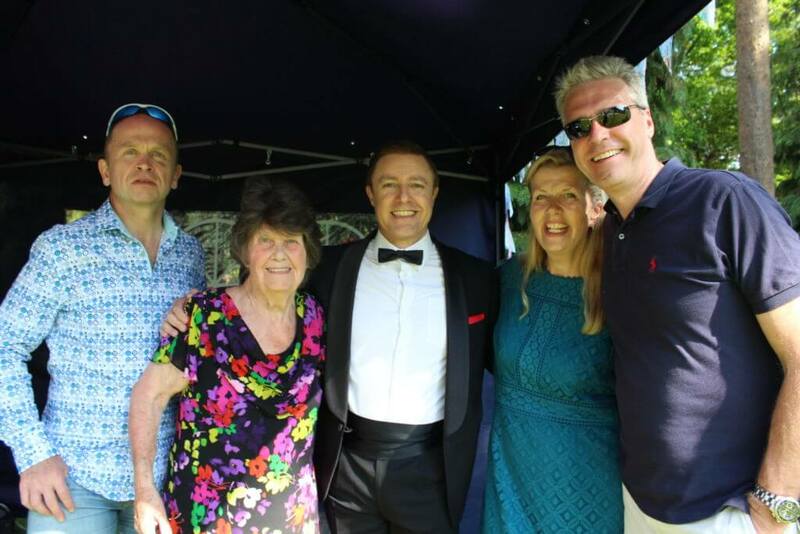 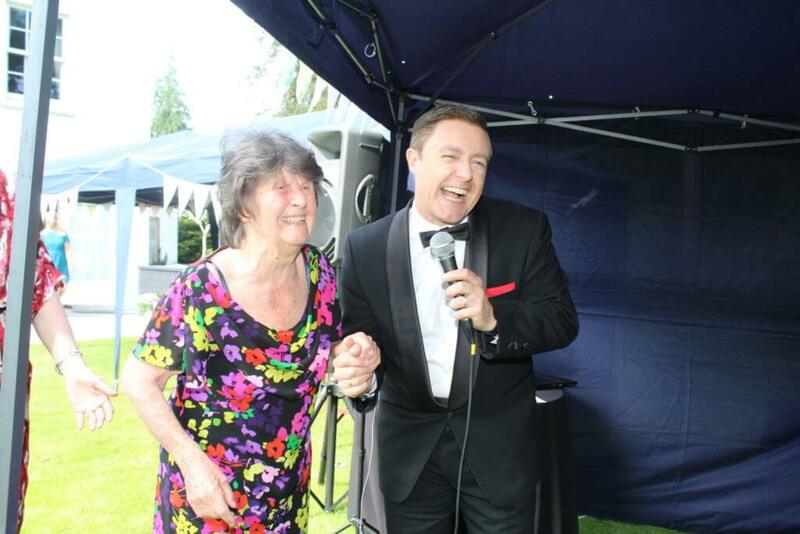 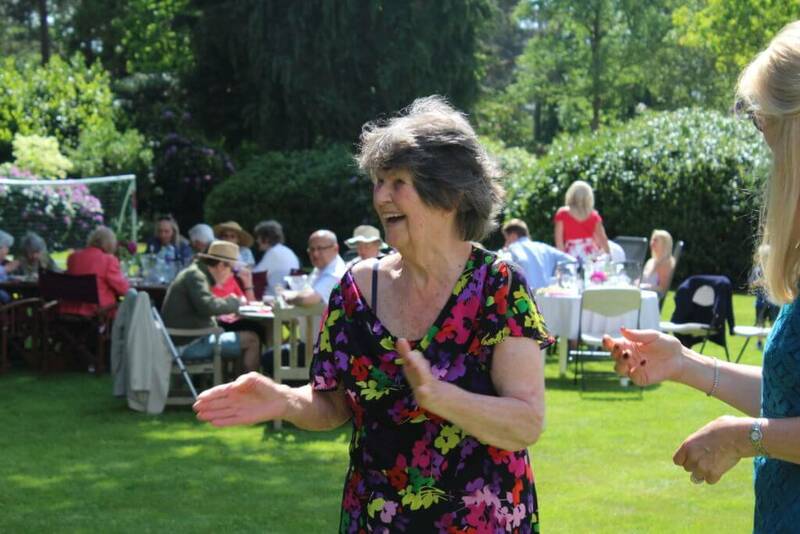 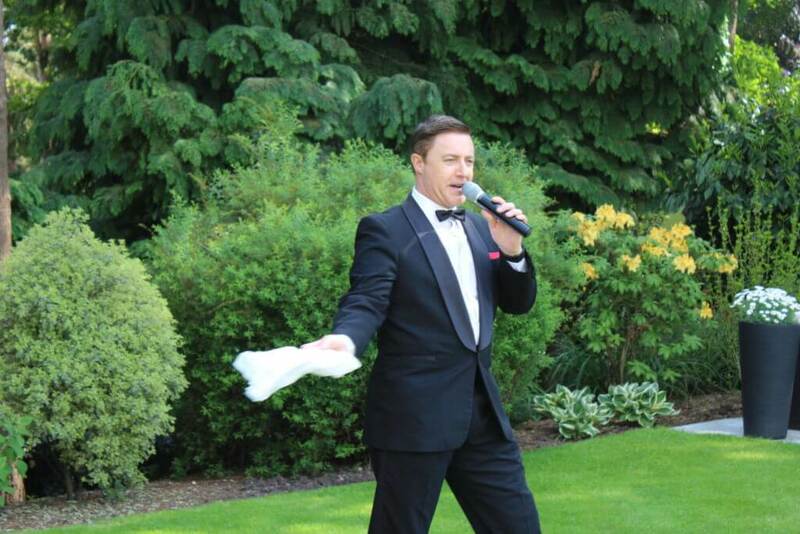 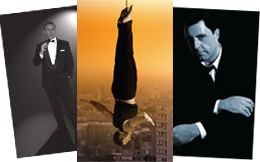 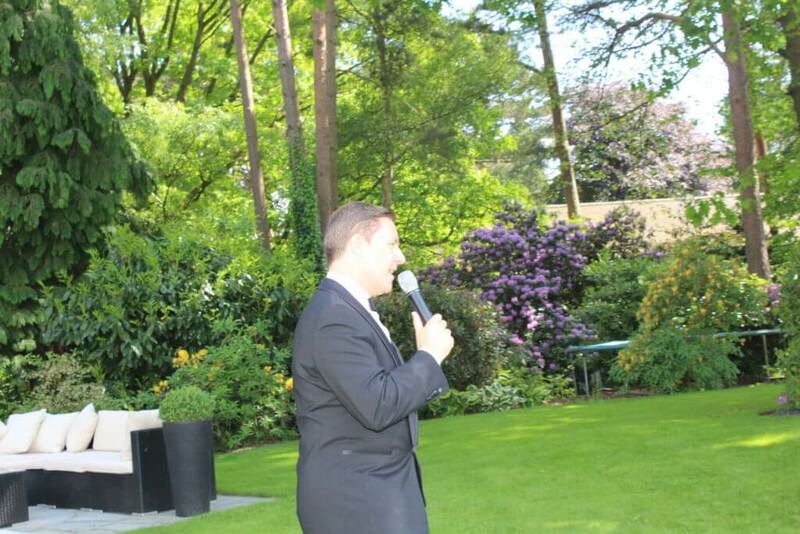 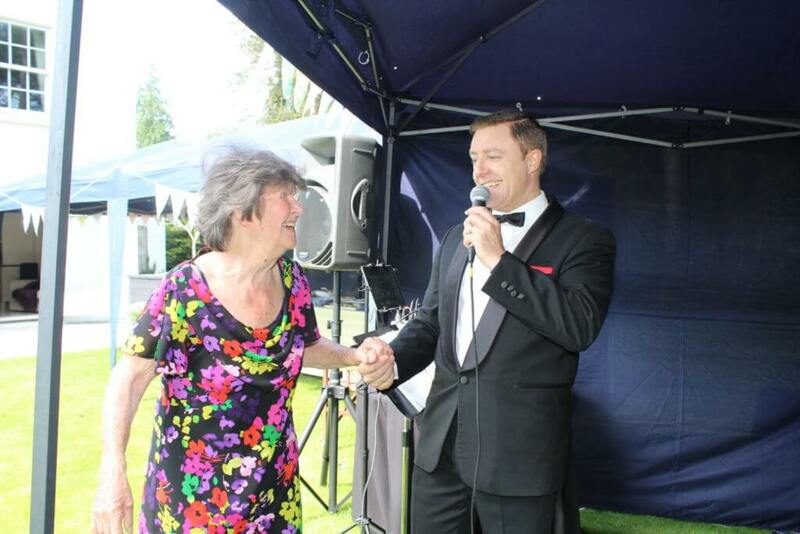 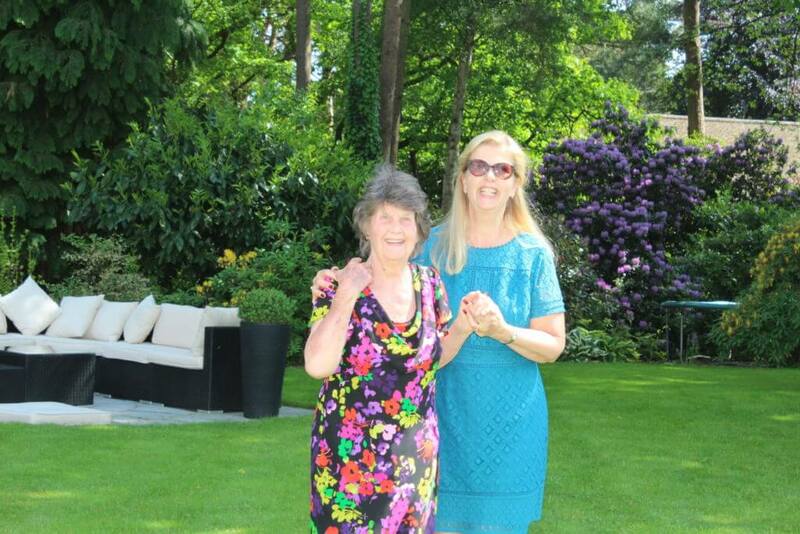 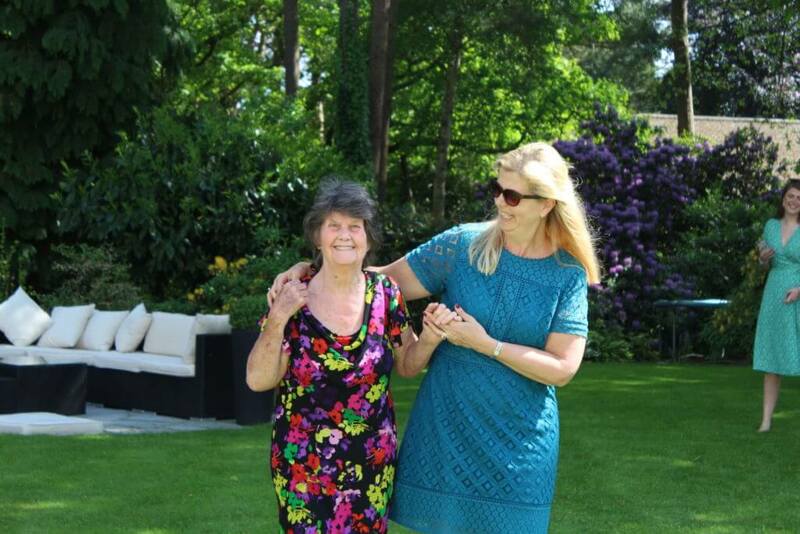 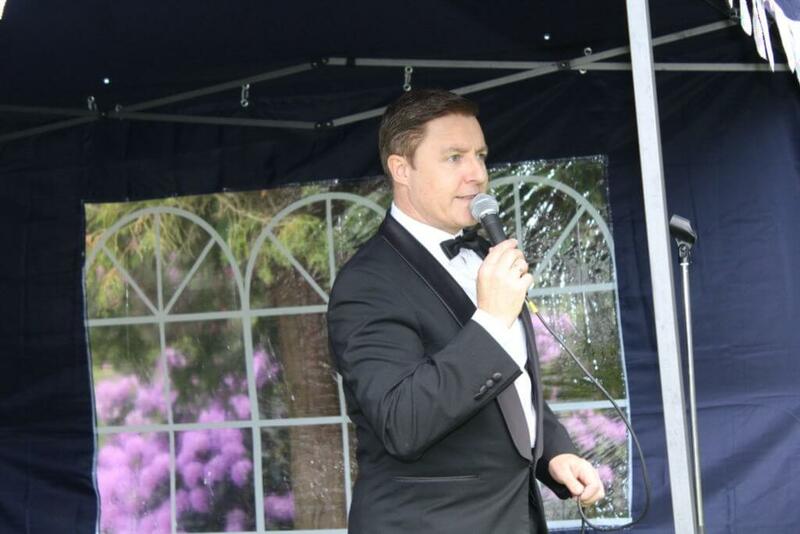 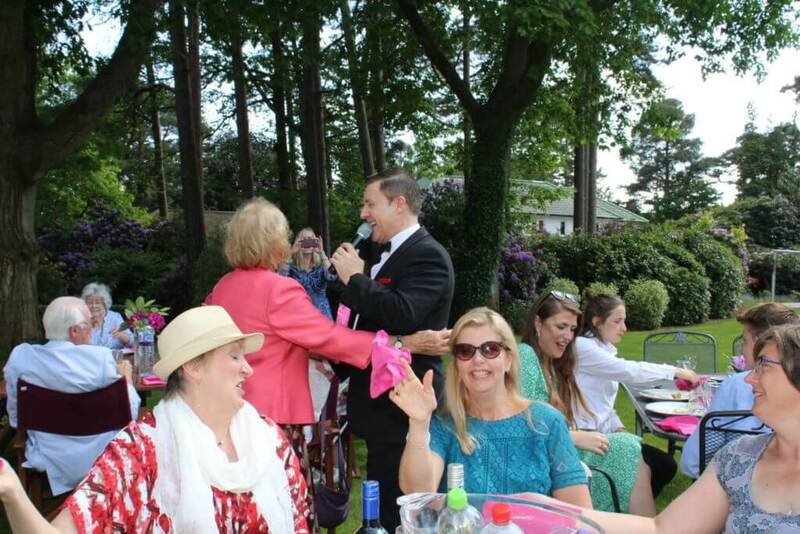 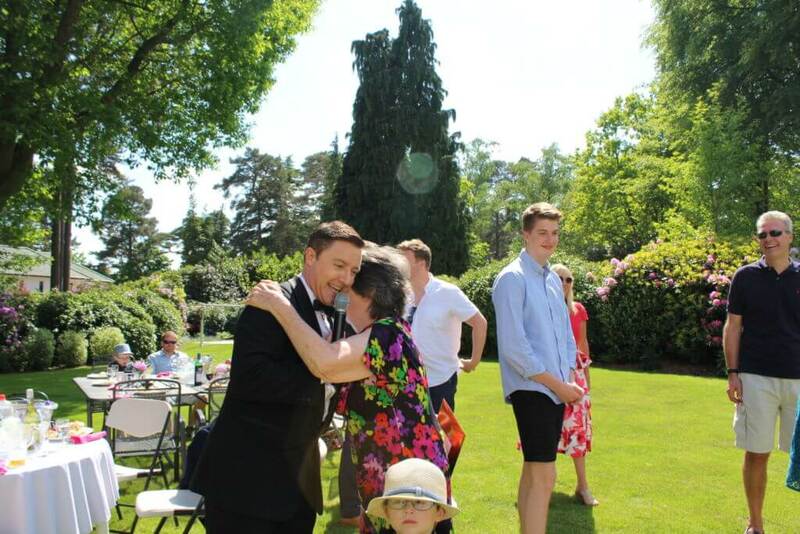 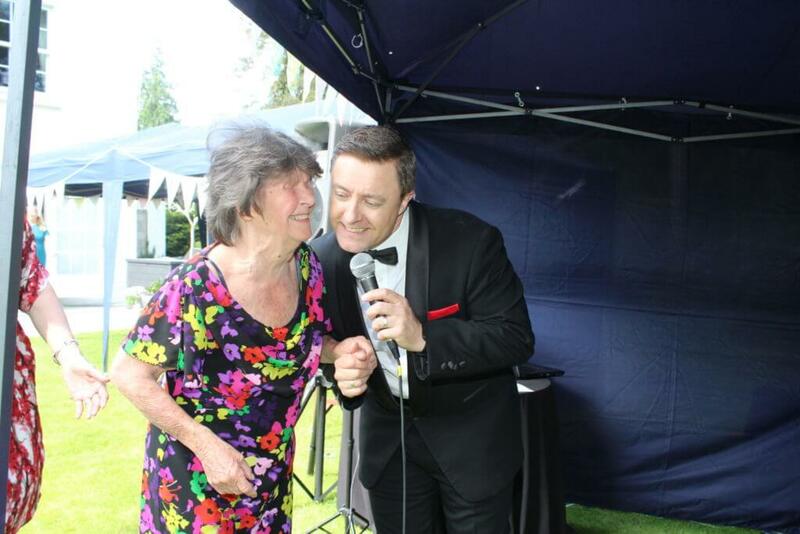 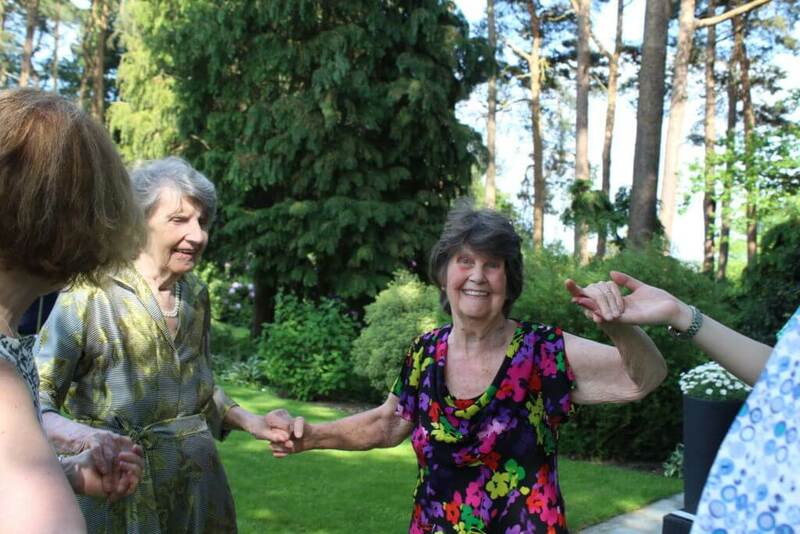 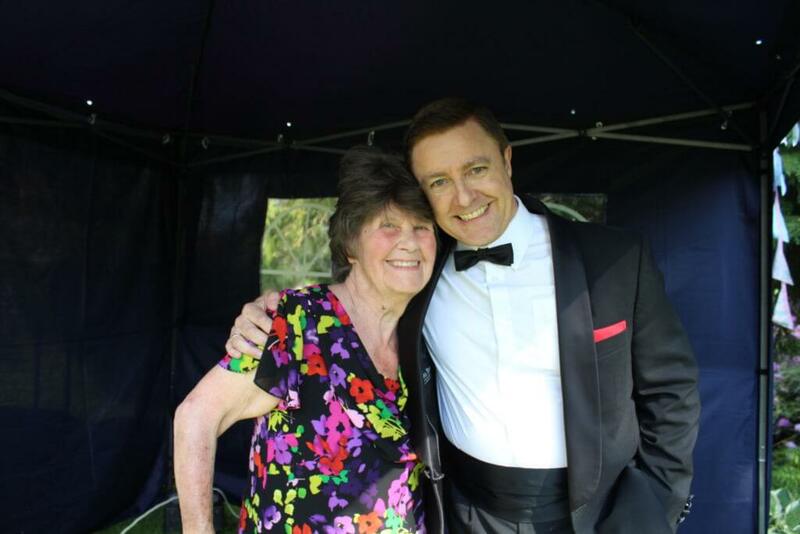 Jennie booked Andy to perform two sets of Rat Pack for her mum Enid's, 80th Birthday Party at their home in Surrey. 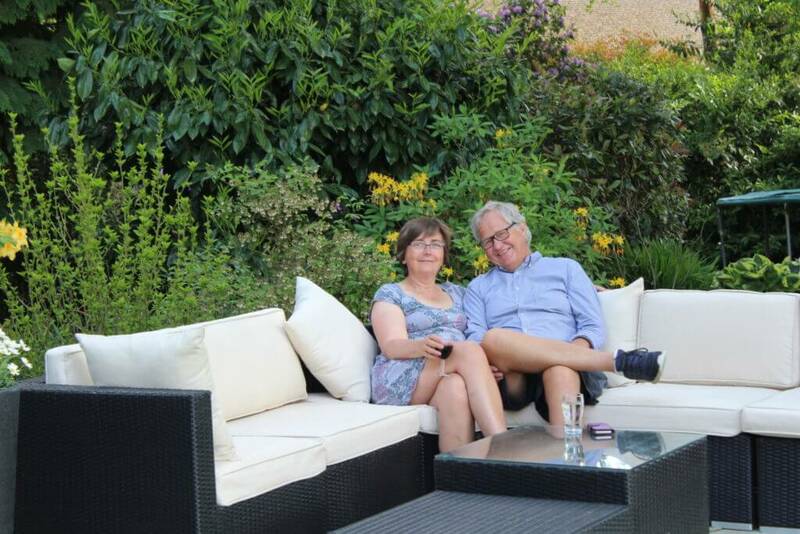 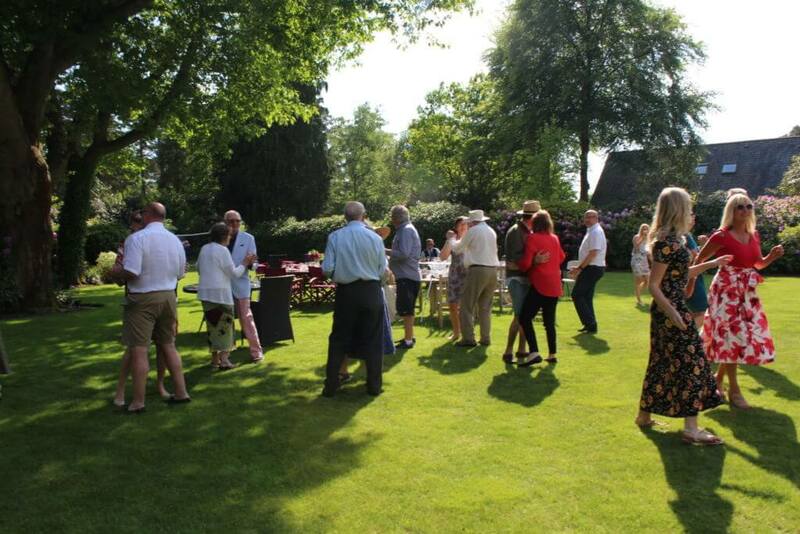 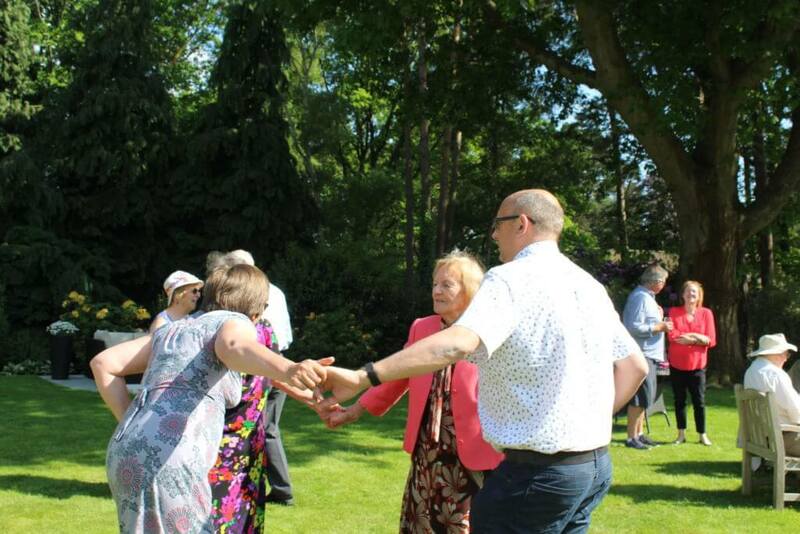 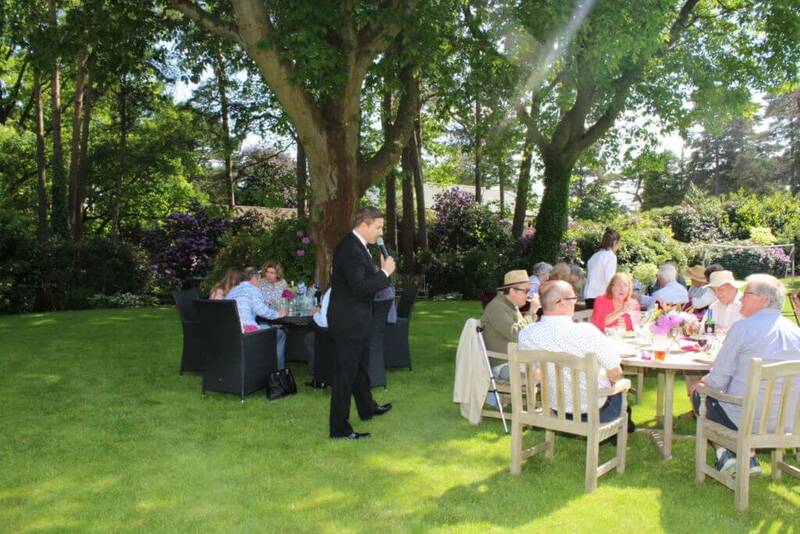 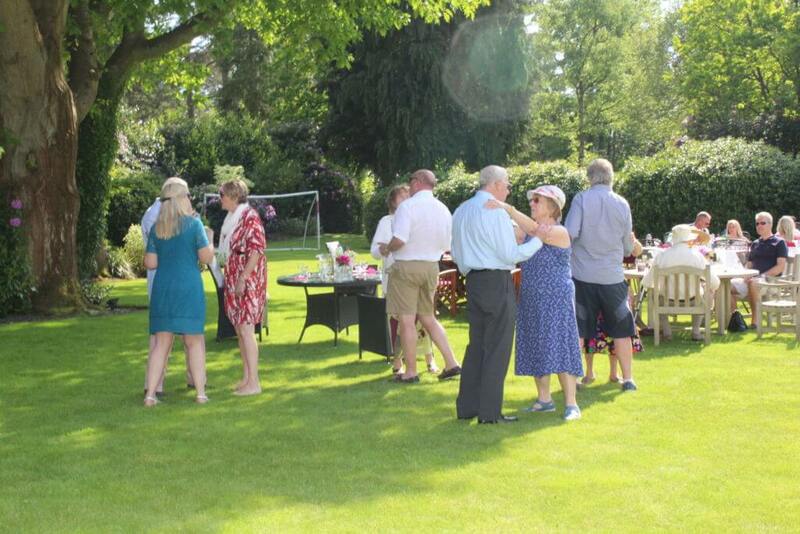 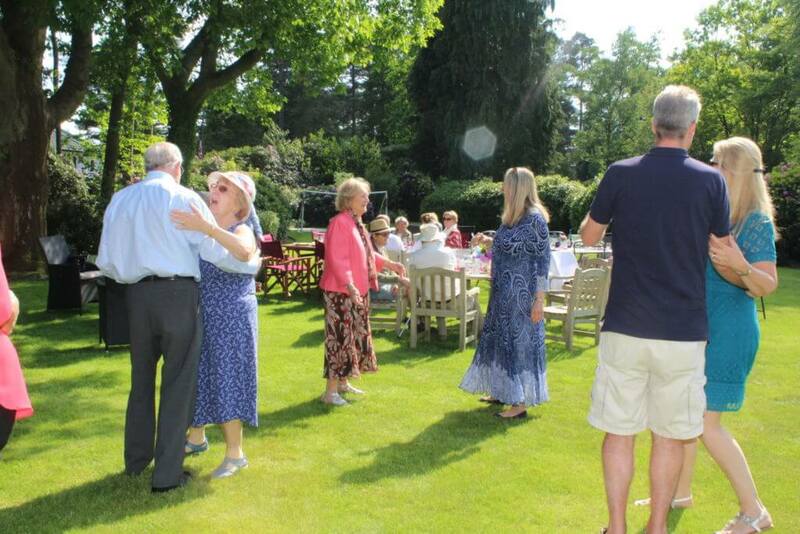 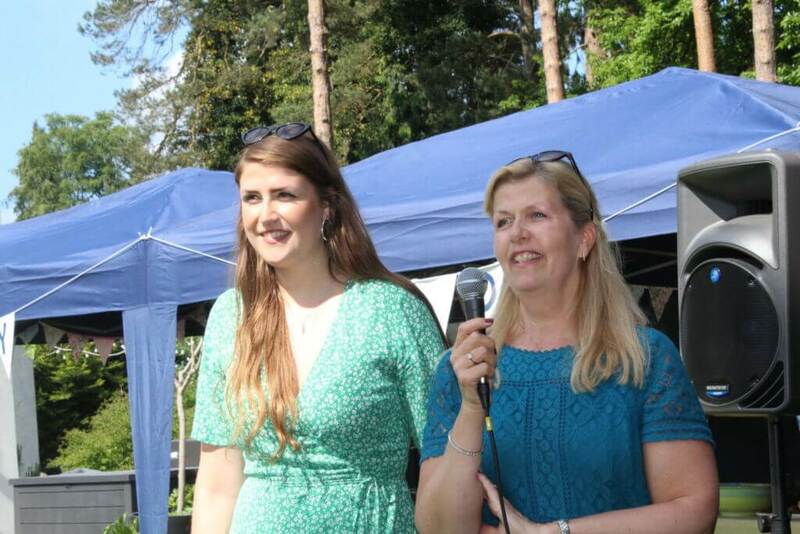 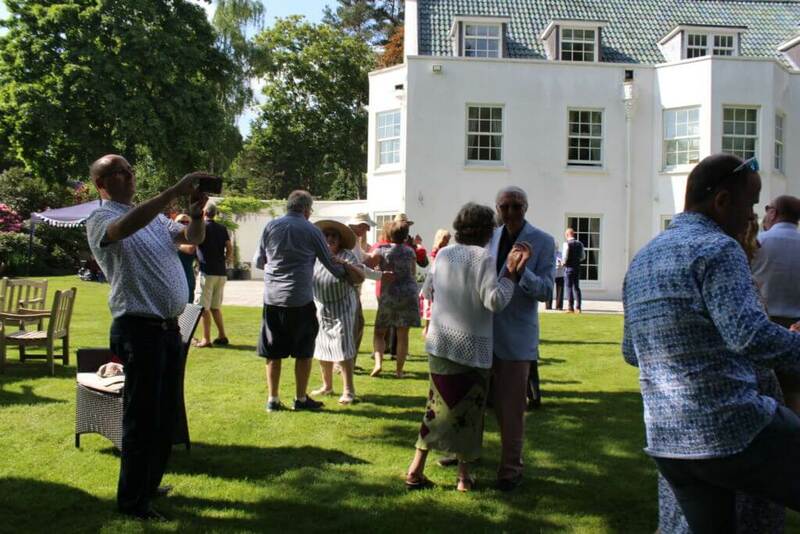 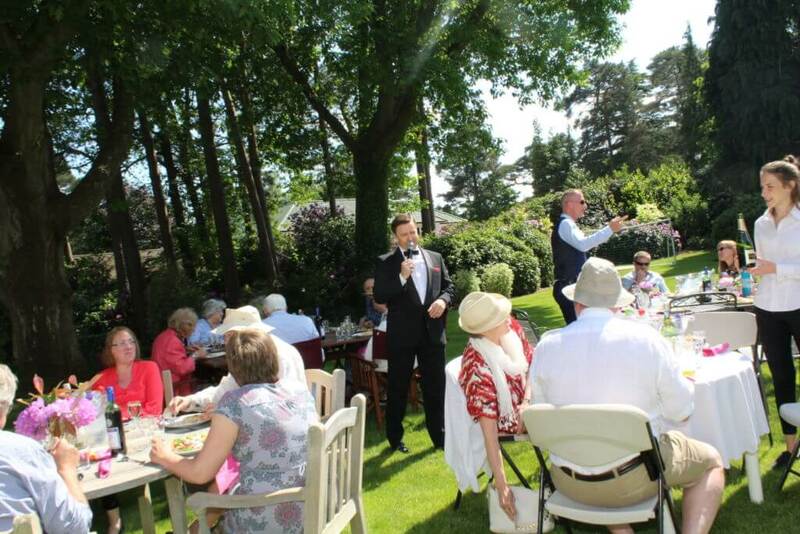 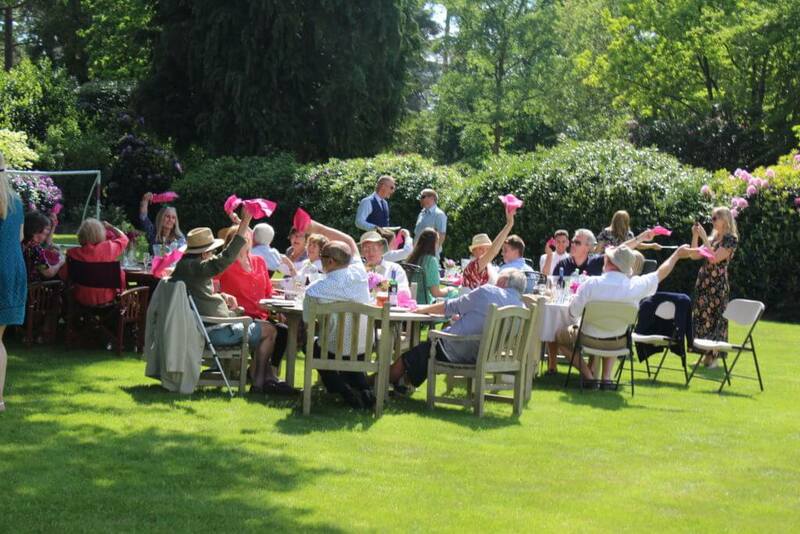 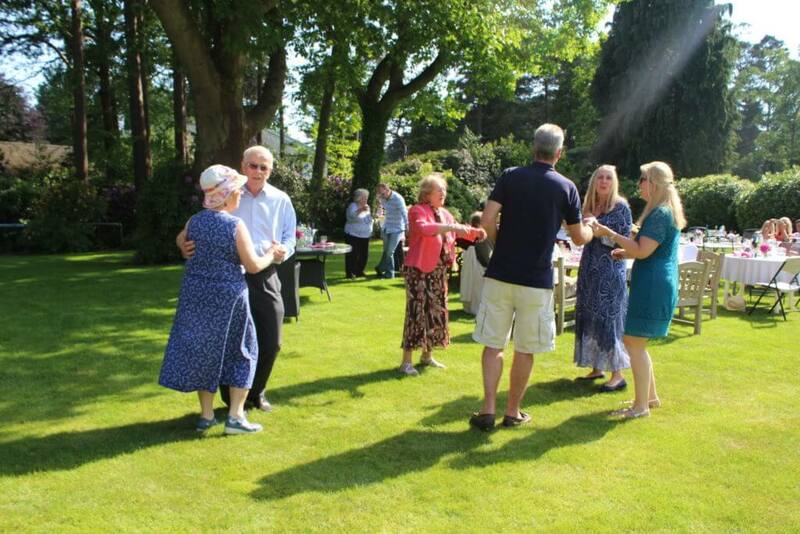 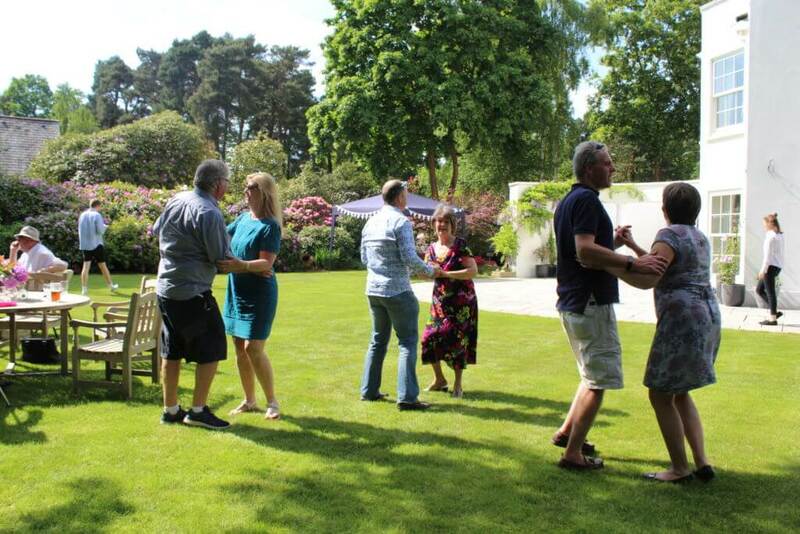 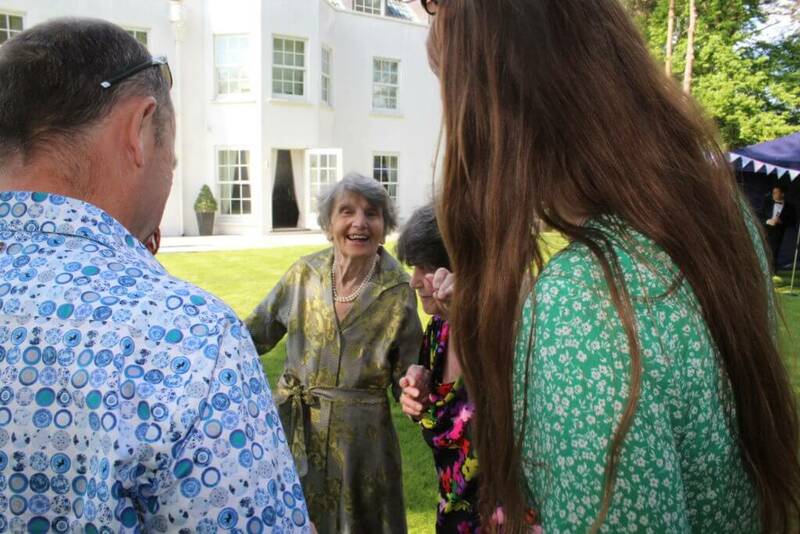 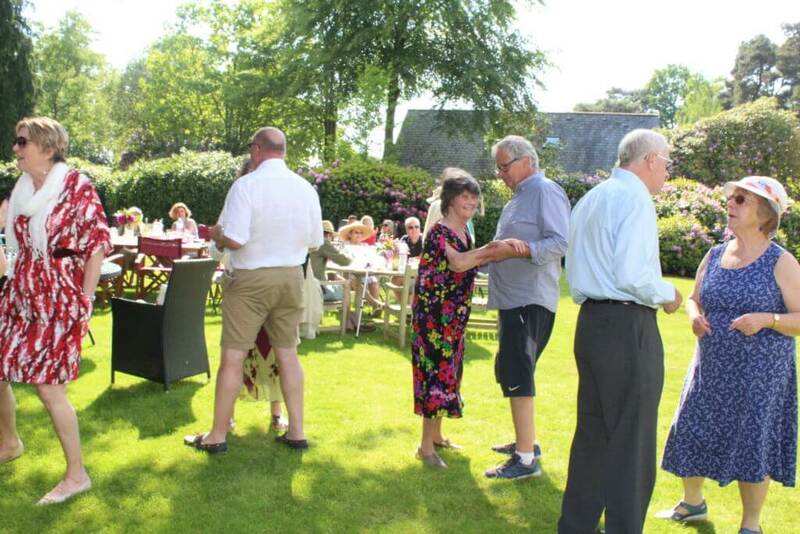 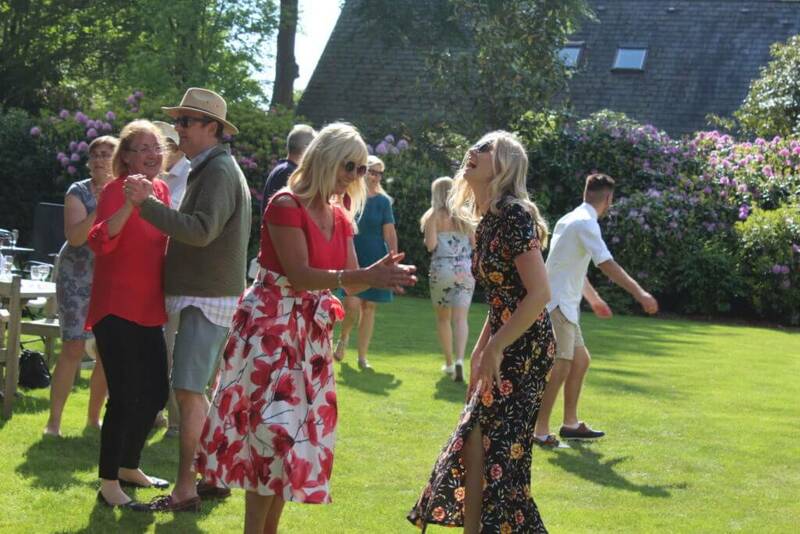 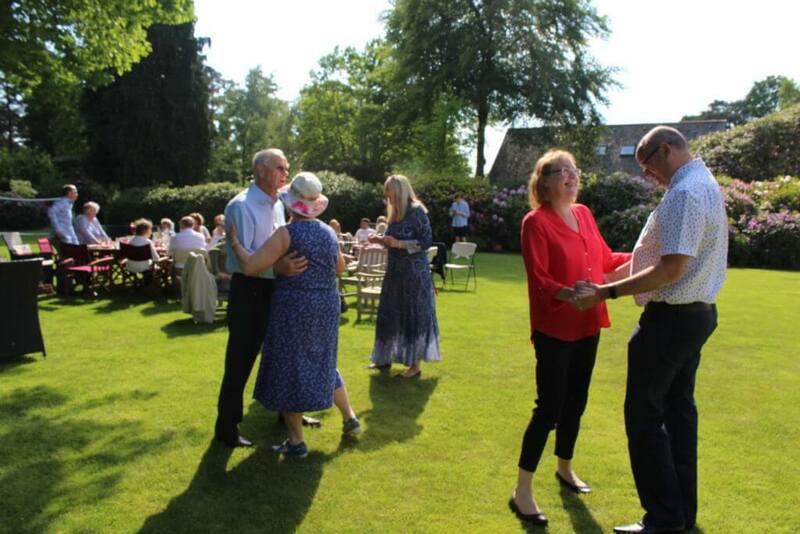 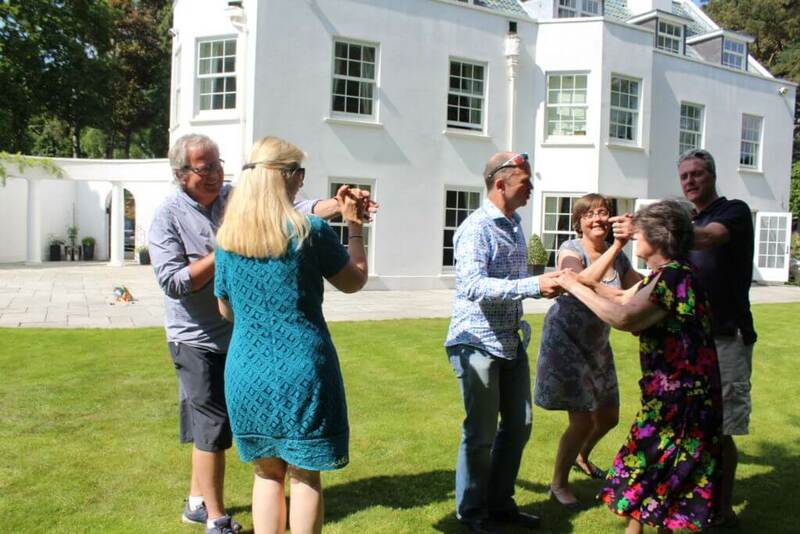 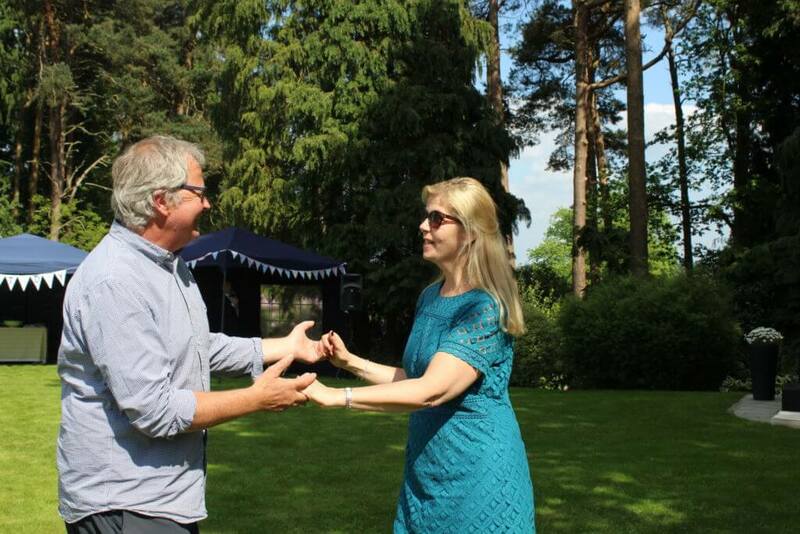 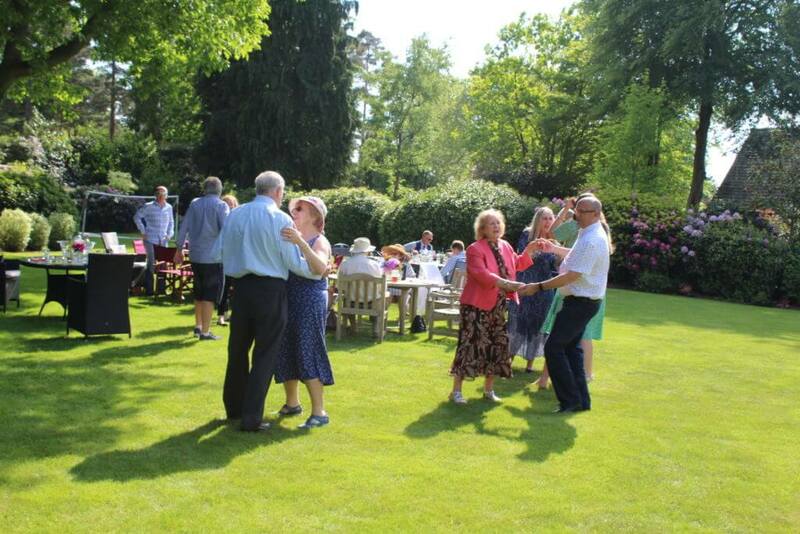 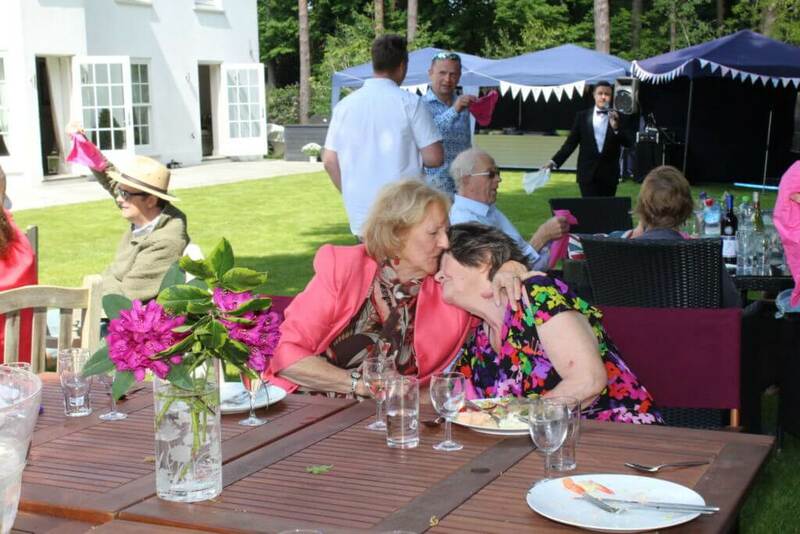 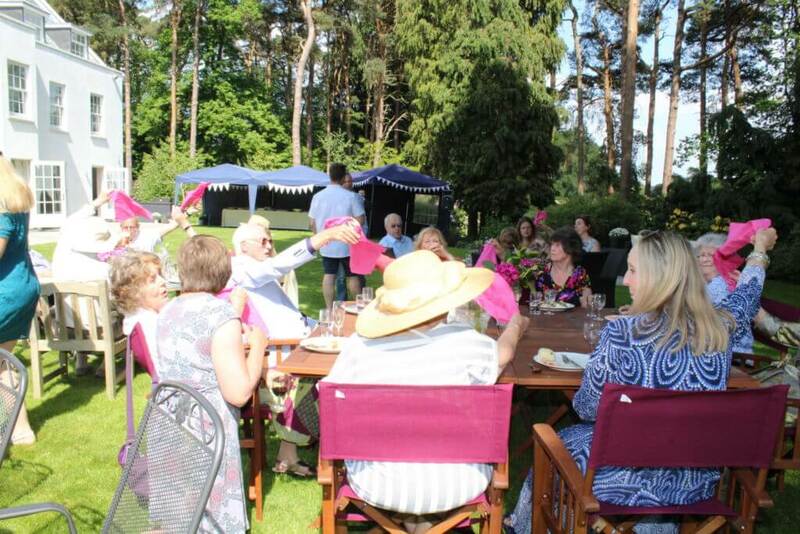 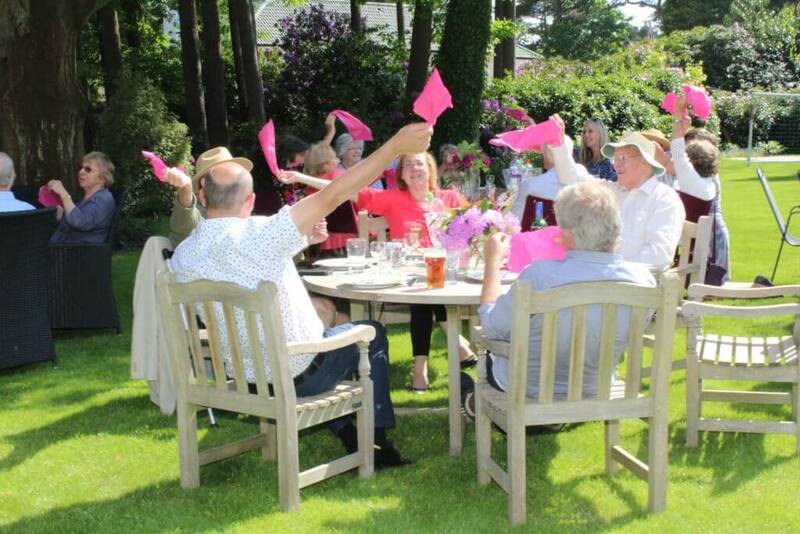 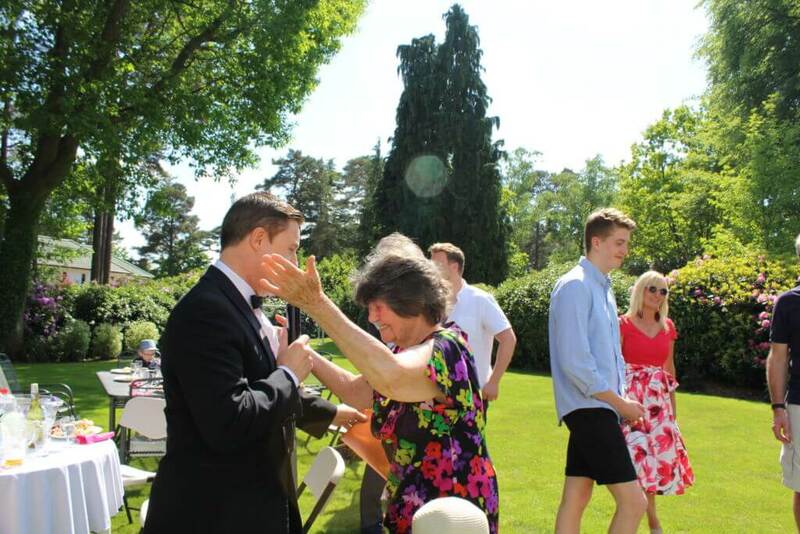 The guests arrived and the sun was shining; we were all worried about the weather but it really was a glorious day. 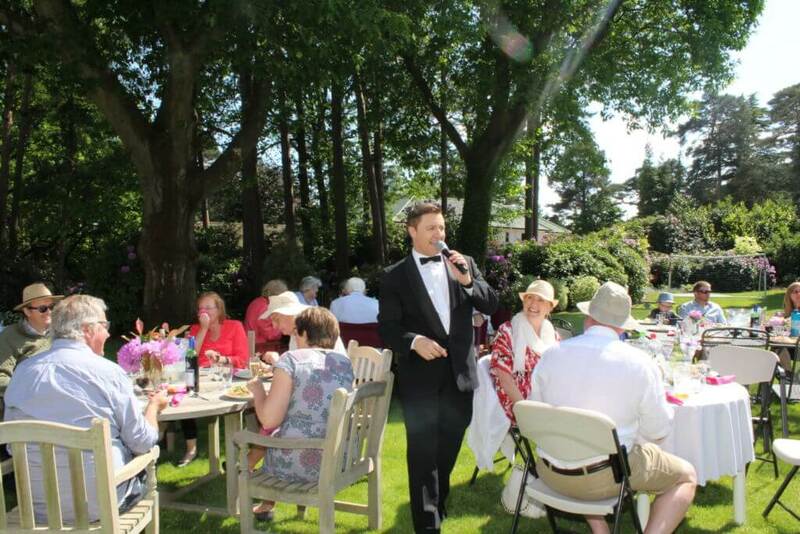 After the first round of food and drinks, Andy started his Rat Pack set. 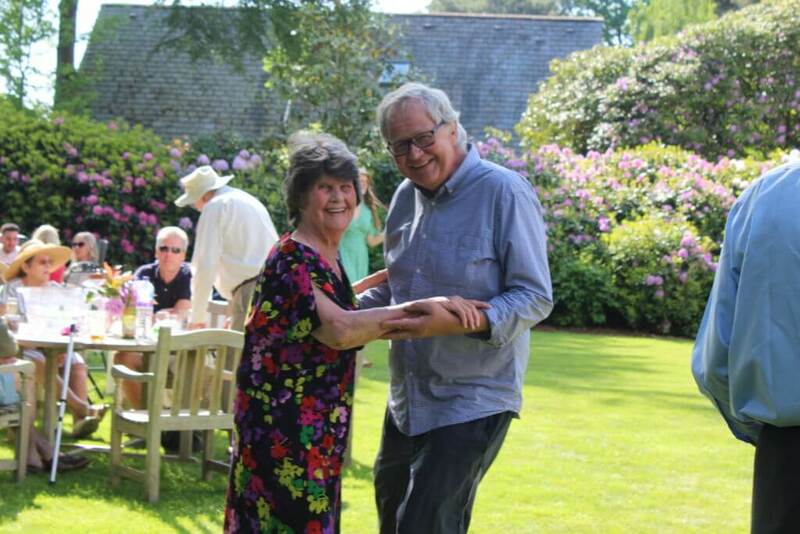 He walked around the tables and also had a little dance with Enid. 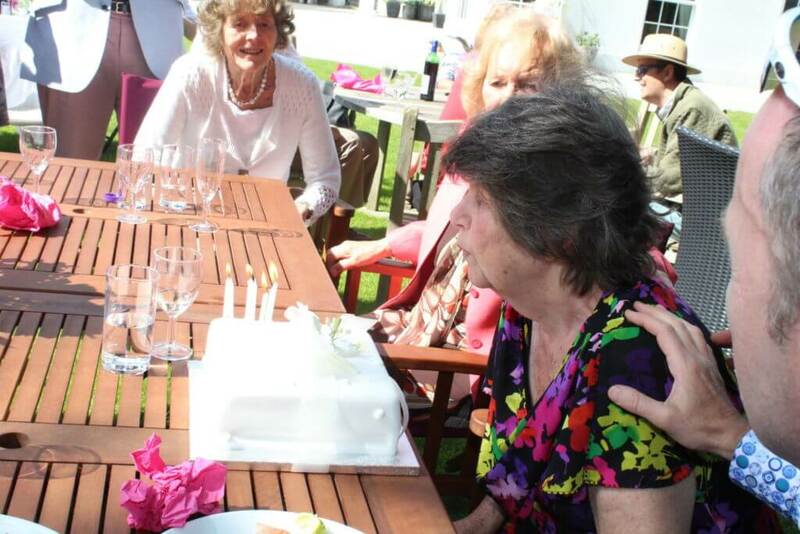 In the break, Andy got all of Enid's friends and family to sing Happy Birthday while she blew out the candles on her cake. 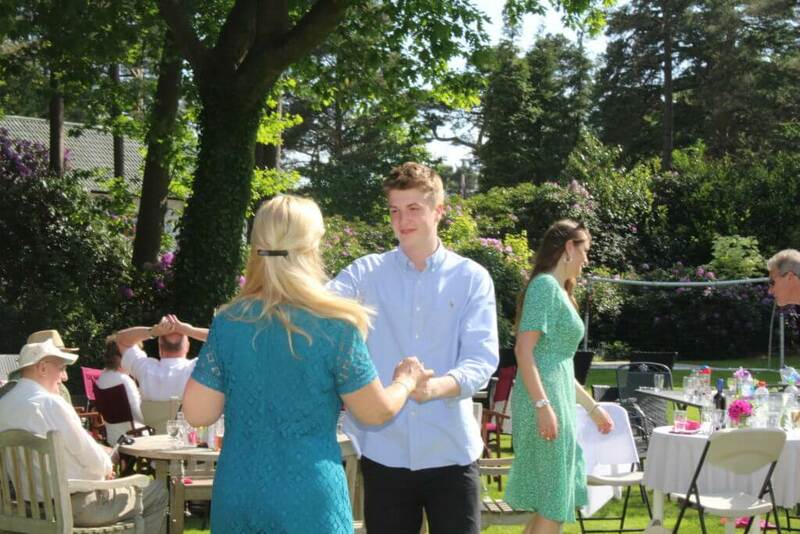 Andy then came back with the second set and everyone was dancing in the sun. 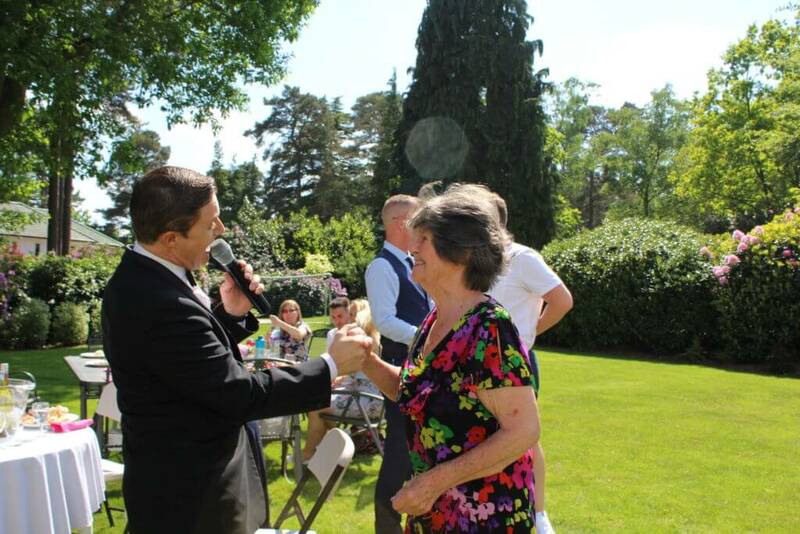 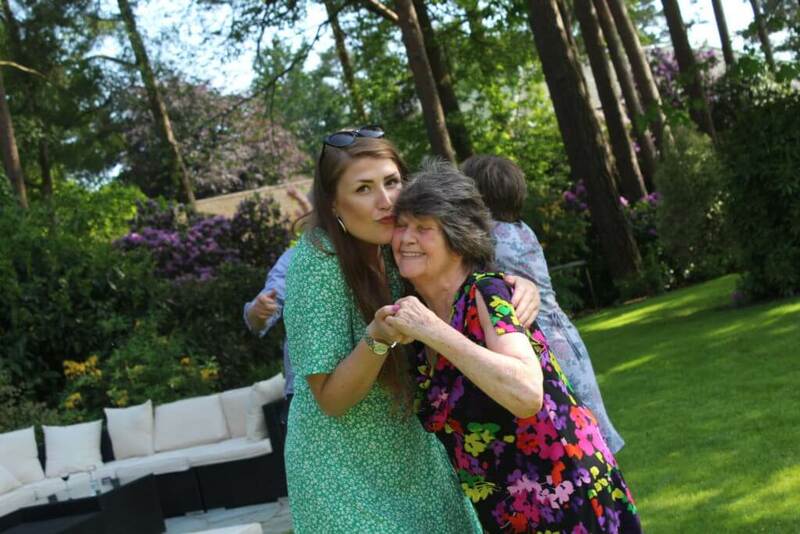 It really was an amazing event; everything was perfect and Enid and her family had a lovely day with some great memories made. 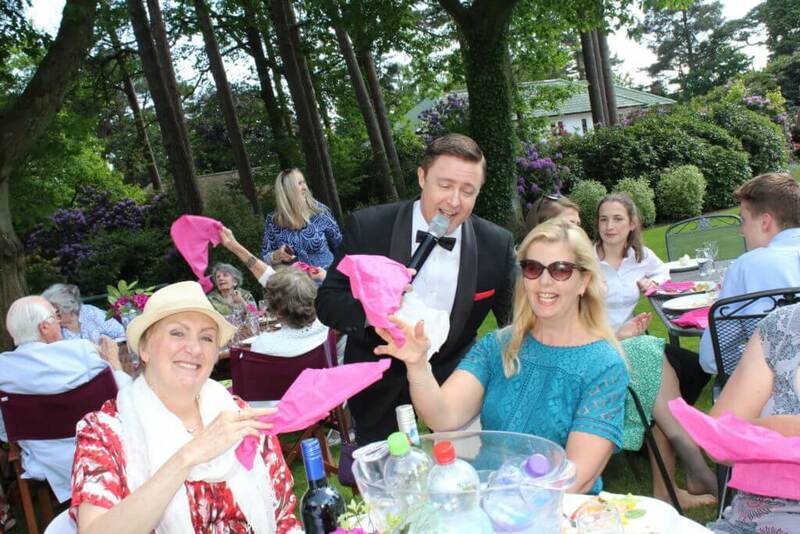 When Andy had finished they served some delicious desserts which we all ate.... yum!